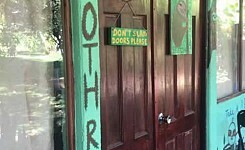 Costa Rica is a cultural and natural paradise, but most travelers only see its impersonal and touristy side. 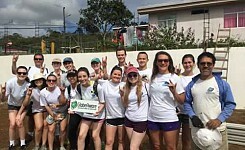 This Globe Aware Costa Rica volunteer travel programs offer a unique opportunity to help rescue and rehabilitate different native animals. 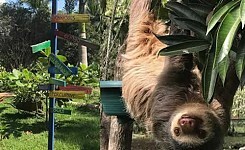 This project aims to rehabilitate many different types of tropical species like sloths, howler monkeys, spider monkeys, toucans, marmosets, and more that have been injured or illegally held captive. Here these animals receive the care they need in order to survive on their own in the wild. Volunteers live on site and help with many different essential tasks for the animal sanctuary. In the morning volunteers help prepare the fruits and vegetables for all the animals on site. They help feed and bathe the animals, especially the sick or injured ones who need special attention. 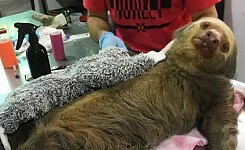 Volunteers help to socialize animals staying in the sanctuary that cannot be replaced back into the wild as well by holding sloths and monkeys a few hours per day. 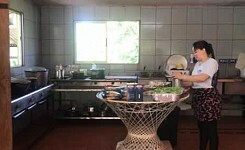 After these duties have been completed, the volunteers help with other tasks around the sanctuary that may include yard work, cleaning, and helping care for their garden. Our volunteers will also take the animals out to play and exercise with them. 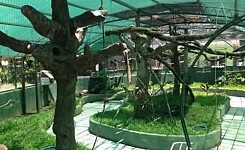 These animals are being rehabilitated in order to be released back into their natural habitats. There are currently 127 animals, 31 of which are sloths. The rest are coati, monkeys, kinkajous, olingos. 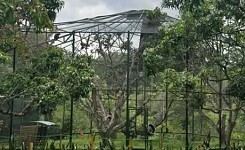 The center seeks to protect and help endangered Costa Rican wildlife indigenous to the country. First and foremost, the goal is to ensure the welfare of injured animals and help them recover from their physical and psychological wounds. 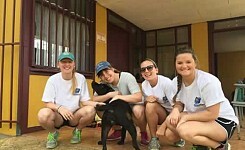 Volunteers work with a team of experienced veterinarians who work at the on-site hospital in addition to the thousands of volunteers from around the world who have helped over the past 10+ years. The objective is to rescue, rehabilitate and ultimately release the animals back to their natural habitat. 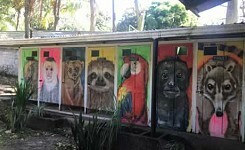 Costa Rica has outlawed zoos. 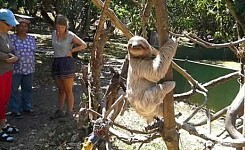 They recognize that animals such as sloths are not social and are usually much better off in the wild. Projects can vary depending on the number of volunteers, which projects were finished with the prior group, what priorities have changed, weather conditions, which supplies are available, and often the interest and fitness level of the volunteers. For these reasons, specific projects are often not fixed until the week prior to your arrival and can even change upon arrival. 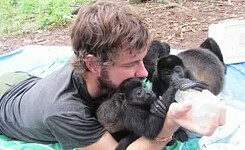 Globe Aware Volunteer Vacations to Help Rescue Animals in Costa Rica - Signup Now! 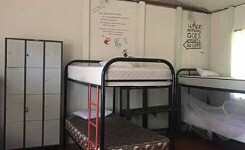 Volunteers are housed in modesty on-site dormitory style accommodations with 6 to 12 people per room in bunk beds. These include Western-style bathrooms and showers, though the water is unheated - unlikely to be missed in the tropical climate. 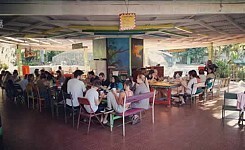 Volunteers are fed plenty of fresh, healthy, abundant, Costa Rican dishes. Electricity is available, though on a relatively limited basis. We will pick you up at the airport on the Saturday your program begins. 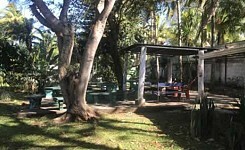 The program ends the last Saturday of the program after breakfast, after which you will be transferred to the airport. Alternate drop off locations can be arranged.